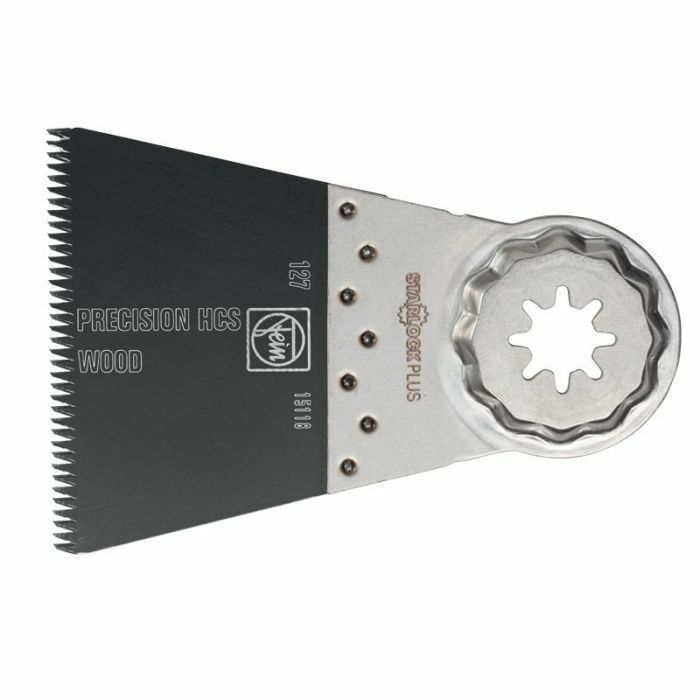 This 2-5/8" wide precision carbon steel blade has an aggressive double row tooth design for fast cutting on wood, laminate, drywall and plastics up to 1-5/8" thick. Sold in a pack of 3. These high carbon steel blades have an aggressive double row Japanese (coarse) tooth design for faster cutting in wood, laminate flooring, drywall and plastic up to 1-5/8" thick. Blades are flat for flush cutting and can cut all the way into corners.